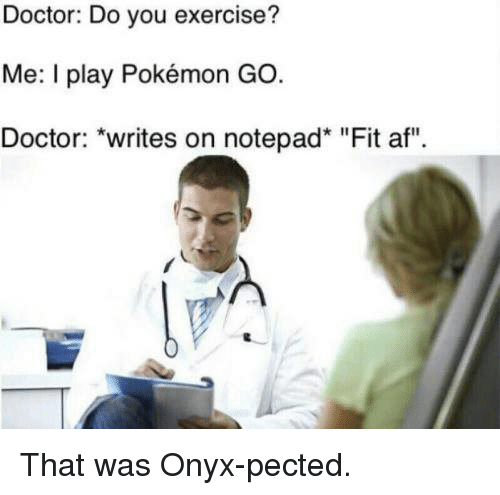 Doctor, Exercise, and Girl Memes: DOCTOR: How often do you exercise? 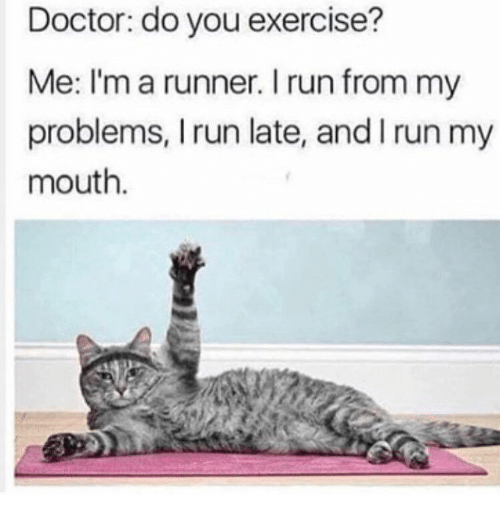 ME: 3 times DOCTOR: A week? 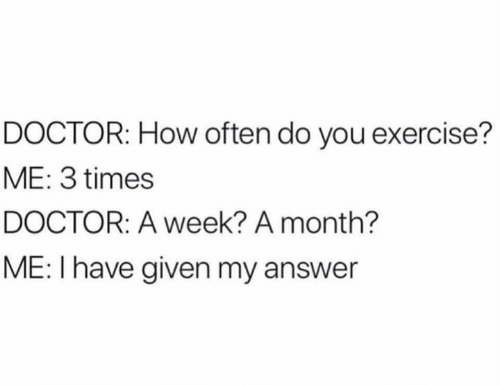 A month? 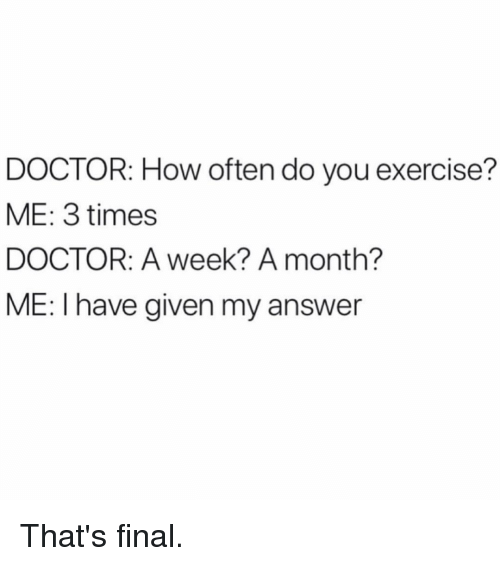 ME: I have given my answer That's final. 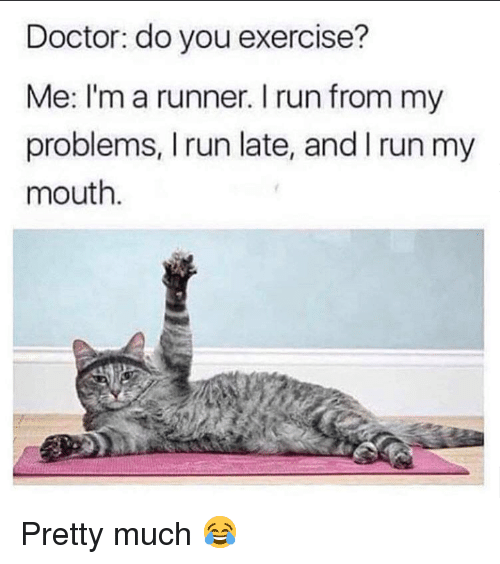 Doctor, Run, and Exercise: Doctor: do you exercise? 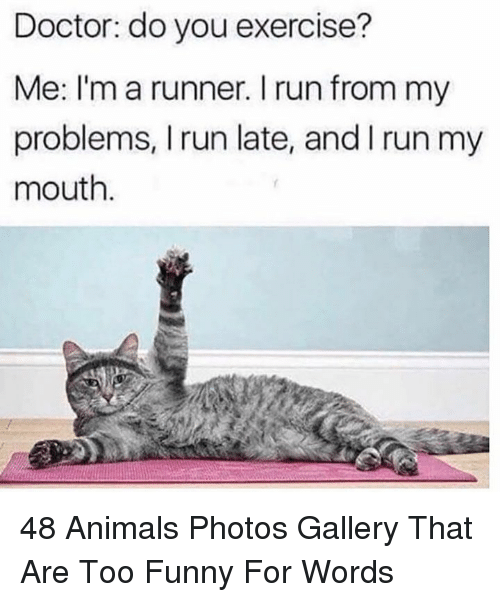 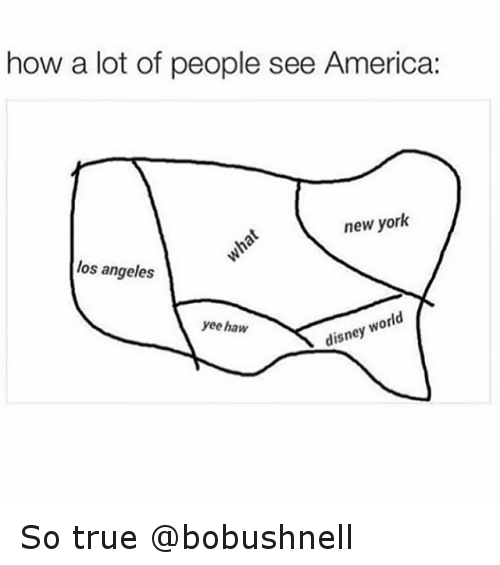 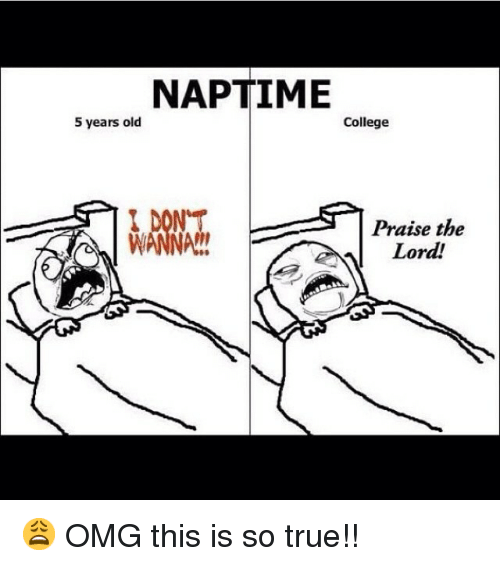 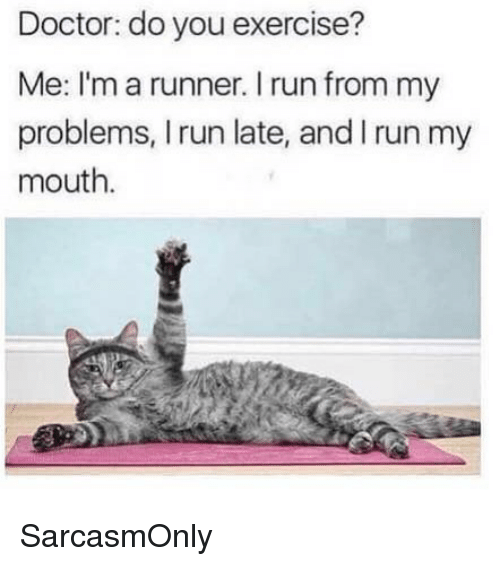 Me: I'm a runner. 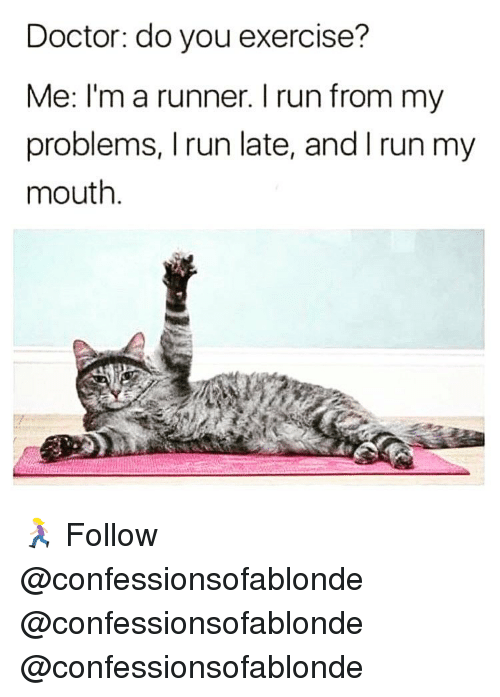 I run from my problems, Irun late, and I run my mouth. 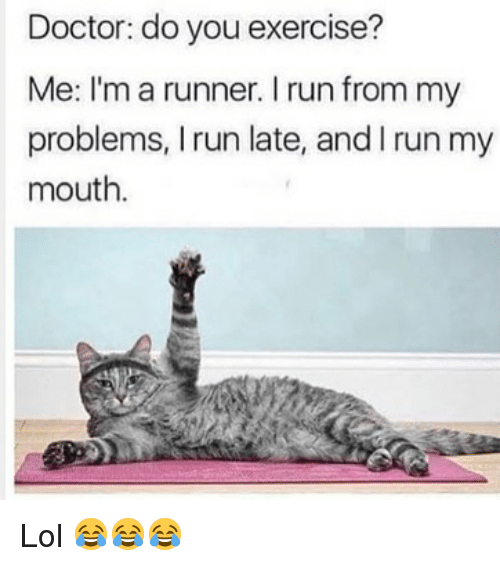 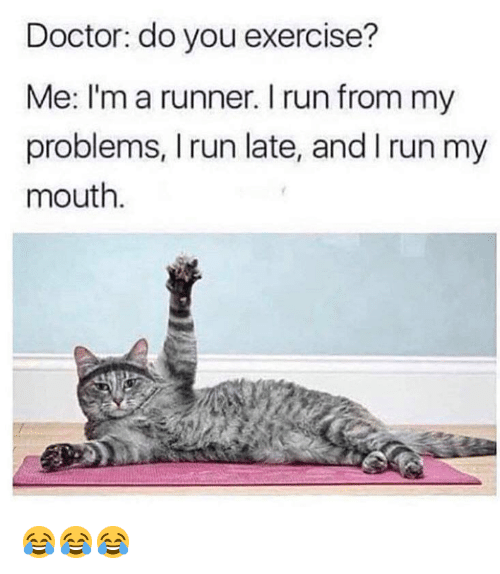 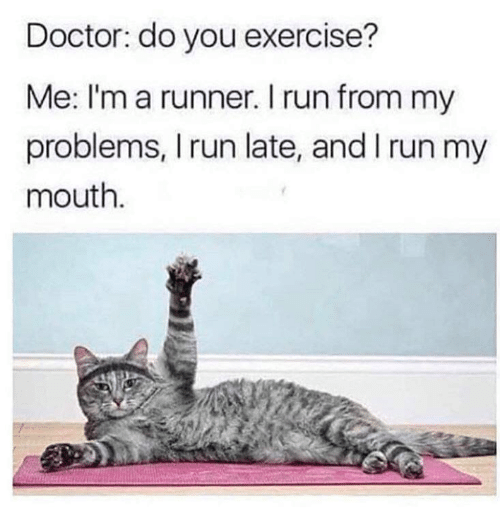 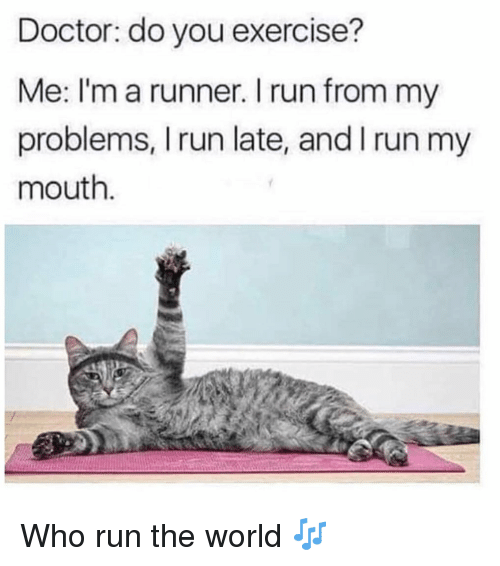 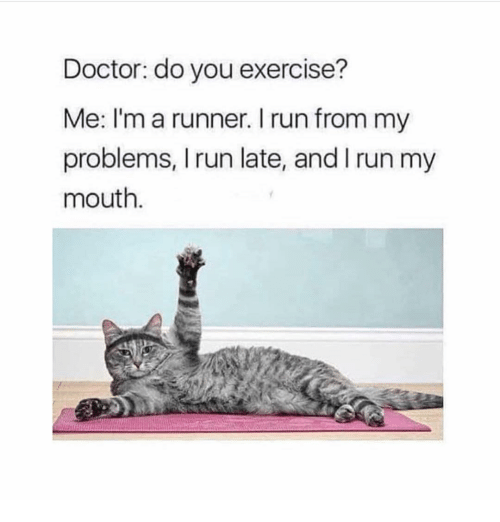 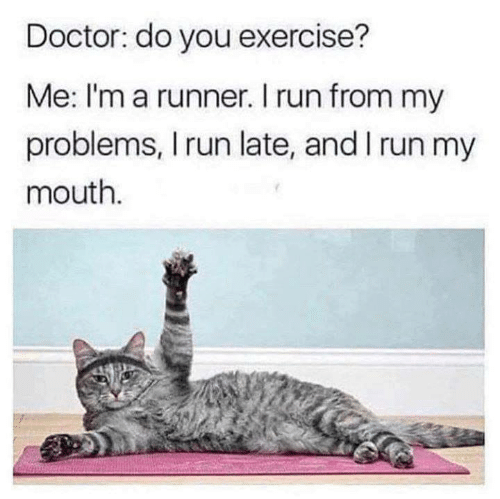 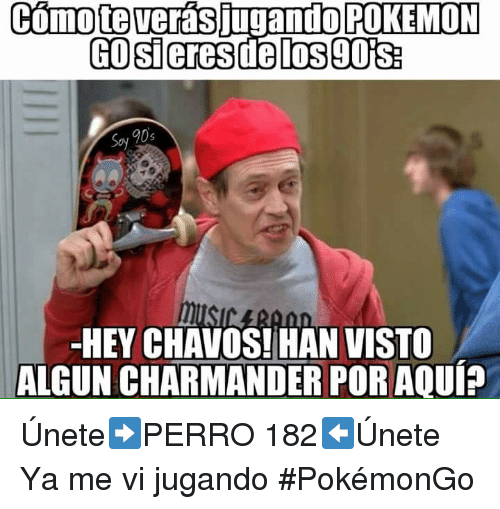 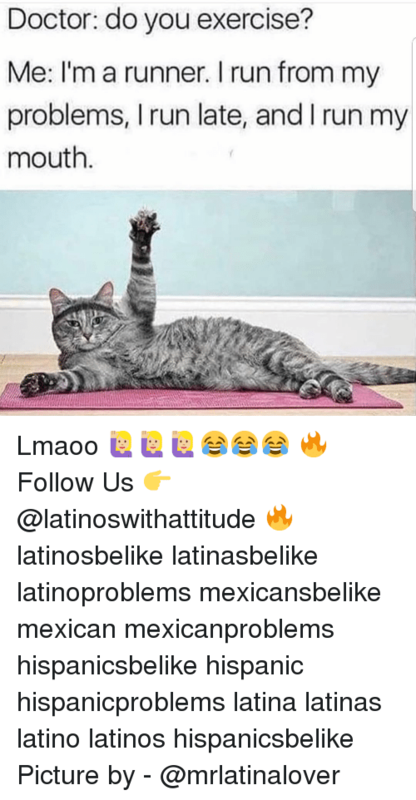 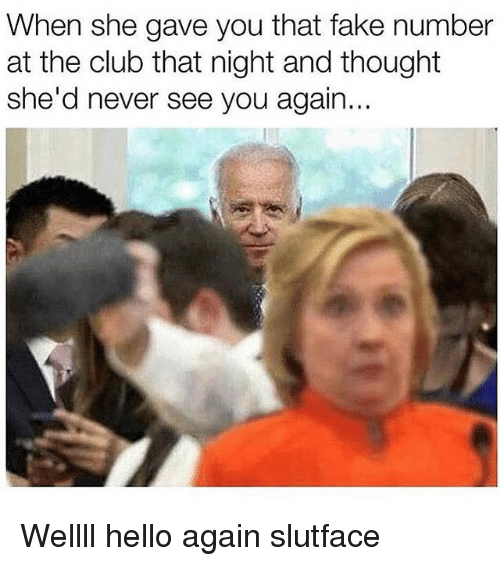 Doctor, Memes, and Run: Doctor: do you exercise? Me: I'm a runner, I run from my problems, Irun late, and I run my mouth.